Few wrongful termination, harassment, and discrimination cases are “clear cut.” No matter how strong the evidence of unlawful conduct by the employer is in the hands of the aggrieved employee, the employer always has its own side to the story, which usually says “We did nothing wrong, and the plaintiff is lying.” No employment case is perfect, and every case has its strengths and weaknesses. One of the most important elements of any civil case, especially wrongful termination cases is maintaining your credibility as a claimant. Being credible usually means relying on facts rather than on unsupported beliefs and speculation, not lying and not exaggerating. The less commonly mentioned by equally important element of credibility, which plays a crucial role during your testimony is accepting responsibility for something that you have done wrong while working for the employer-defendant. Here is a classic example: suppose you were an outstanding employee with numerous awards for your performance and promotions, but like everyone else – you were not perfect, and a few suggestions were made to you as to how you could improve your performance throughout your tenure with the company. The employer’s attorney chooses to focus on that specific issue during your testimony at the deposition or at trial, going over and over something relatively insignificant and belaboring the issue in part in order to destabilize your emotionally. It is very important that instead of getting angry and defensive, or justifying the common deficiencies in your performance, you accept at least some responsibility and admit that certainly things could have been done better by you. 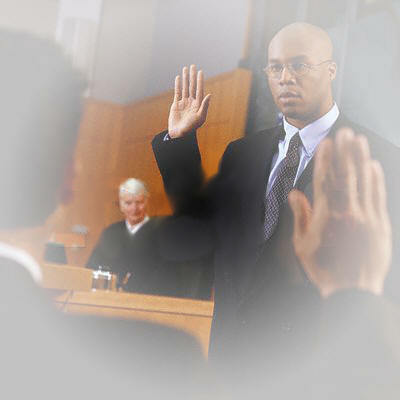 This will allow you to impress both the attorney, the judge and the jury, and send a strong message that not only you are a level-headed rational individual, but you are also responsible, recognize your mistakes when you make them and you deserve even more sympathy than you otherwise would.